Hello September. I am not sure how I feel about seeing you here in my calendar. I am not ready to mourn summer full-out and embrace fall but I am also open to your regularity and routine. But only somewhat. Kiddos are going back to school. Life will get more structured. And then soon enough we will be turning the calendar over to 2012. If Summer is the time to flake out and fill our energy stores, then Fall is the time to put those energy stores to use. And that means CREATE and let our creative fires burn. Instead of chillaxin’ in those last weeks of Summer, Love, Me has been collaborating with some super cool creatives and produced two great new Creative Programs. Full details are available on our Events page. But here is a little overview. If someone gave you a blank canvas and paint, what would you do? Would you hesitate? Would you think and think and think some more? Would you wait for the perfect image to inspire you? Would you feel intimidated? Would yearn to make your mark but feel too self-conscious and timid to even put down a stroke? Don’t let that blank canvas hold you back from exploring colour, piling on the texture, and letting your inner artist out. NOW is your chance to let your artistic fire burn brightly. 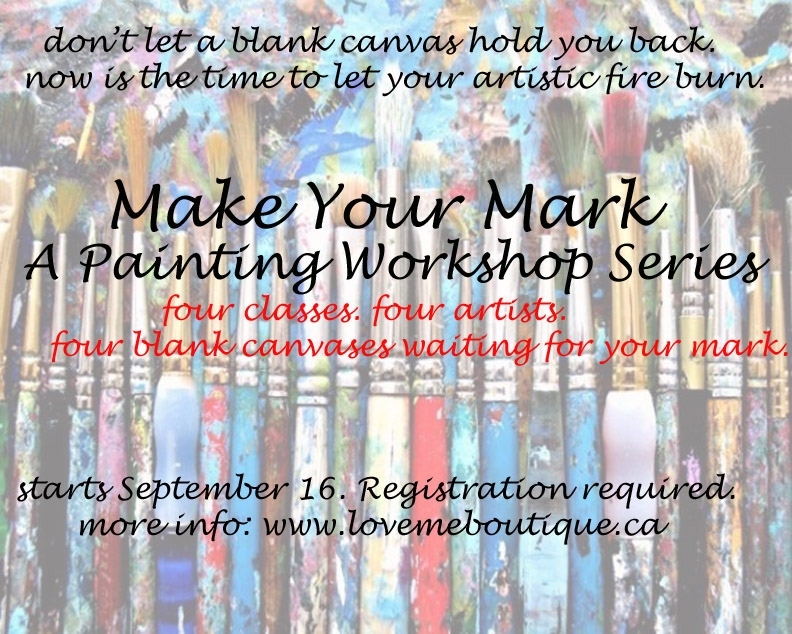 Join Love, Me Boutique in welcoming four diverse painters in a painting workshop series for beginners who are ready to move from desire to fire. Each one of our celebrated painters paints from a place of love and joy as well as having lots of techniques and skills. MAD SKILLZ YO! Join us for any of the four workshops or, for the full experience, all four (at a great discount). Each artist comes from different training, different techniques, and a different perspective to share. All workshops are Friday nights 6-8:30pm. 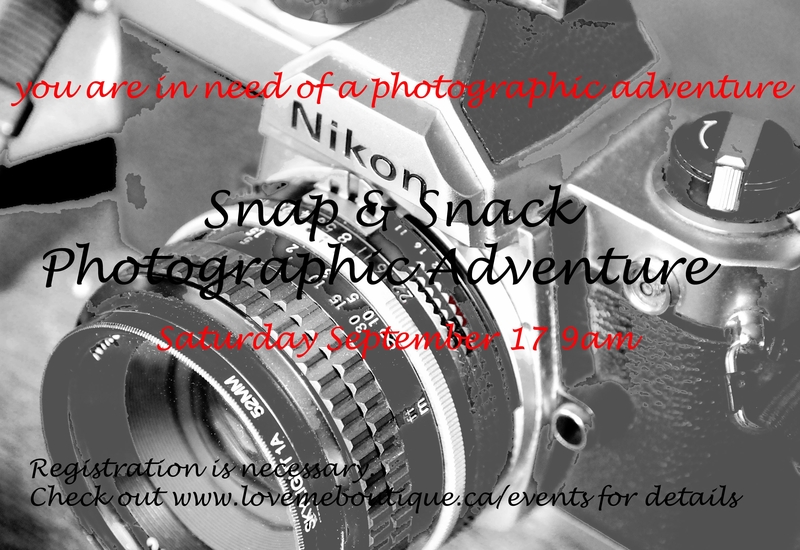 This adventure has a limited registration to provide a more intimate learning/sharing environment. To avoid disappointment, be sure not to delay in purchasing your ticket. Registration/tickets can be purchased online here or in person at the shop. Also be sure to check out the events page for FAQs related to this event.